The club’s penchant for hedonism overshadowed the music played on its dancefloor. 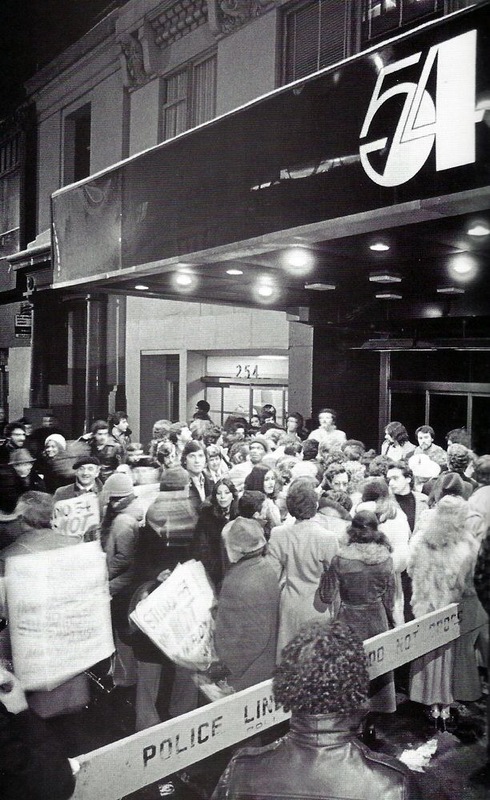 If disco was born in the underground gay clubs of late 60s New York, its coming out party was April 26, 1977 in an old Broadway theatre at 254 West 54th Street. 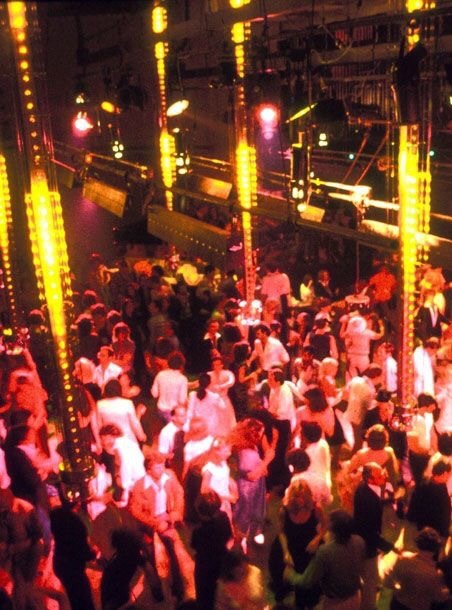 If it wasn’t disco’s greatest club, it was certainly the most dramatic. 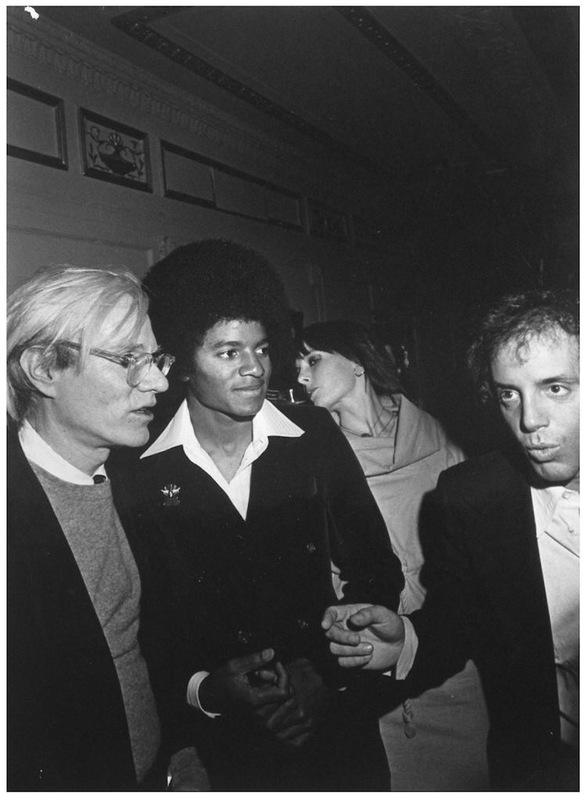 Studio 54 was conceived as grand theatre as much as a club and it showed in the ambition poured into it by its owners Steve Rubell and Ian Schrager, as well as the woman who conceptualised it, Carmen D’Alessio. Whereas most of the New York underground club scene had been about equality and fellowship, Studio 54 was the most public expression of the veneration of celebrity, glamour and glitz, epitomised by “The Man In The Moon” on stage, inhaling coke from a glittery spoon. 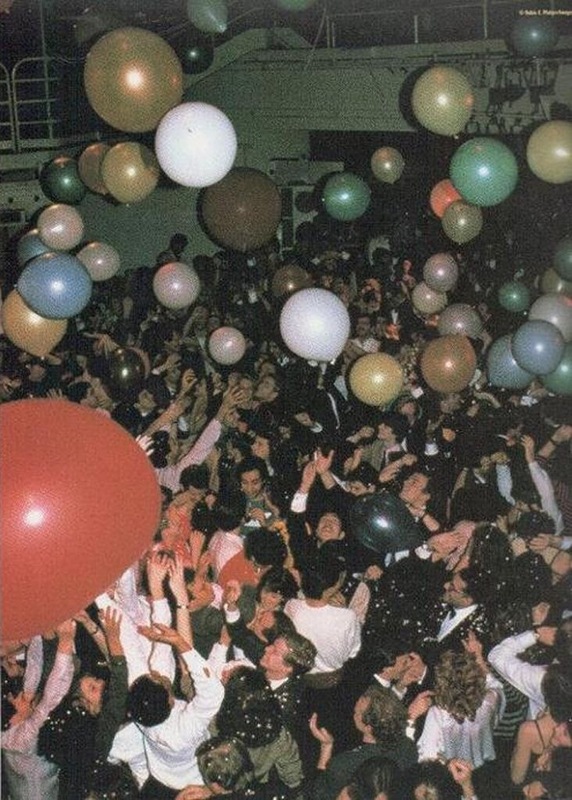 Having gestated in the underground parties of the Loft and the Gallery during the early part of the decade, by 1977 disco had already become a commercial force with New York’s triumvirate of record labels – Prelude, Salsoul and West End – already established alongside the arrival of the disco-conceived 12” single two years earlier. On the opening night, an array of celebs duly showed up, with Bianca Jagger, Brooke Shields, Cher and Donald Trump smiling for the cameras. In the chaos of the opening, there were almost as many left standing the wrong side of the velvet rope, among them Mick Jagger and Frank Sinatra. 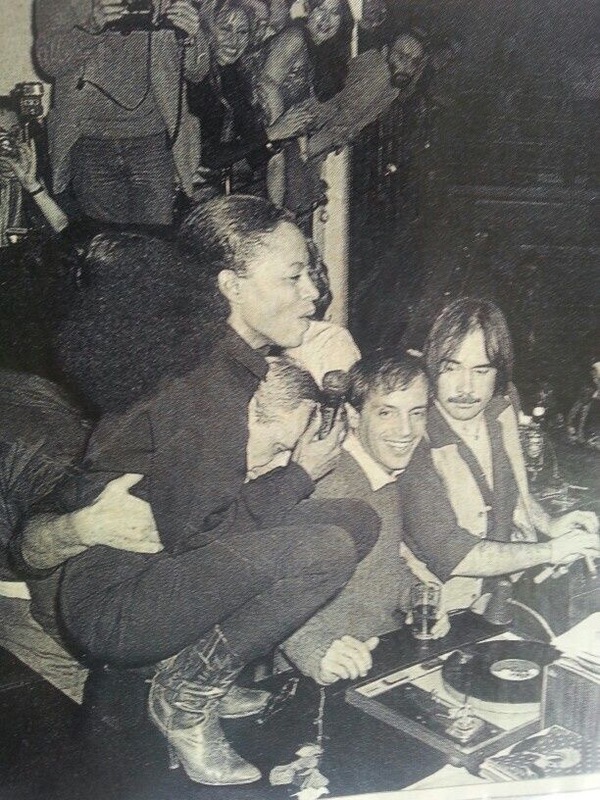 A party for Bianca Jagger’s birthday a few weeks later, thanks to D’Alessio’s brainwave of getting Bianca to arrive atop a white horse, was the publicity coup that helped establish Studio 54 as the go-to disco club of the moment. As befitted a club of such glorious excess, its stellar years were relatively short. A year after its opening Steve Rubell bragged to the press that, “only the Mafia made more money,” a fact that alerted the tax authorities. The club was raided by the IRS in December 1978, who found $2.5m stashed in garbage bags in the building. The pair were convicted of tax evasion and spent 13 months in jail. 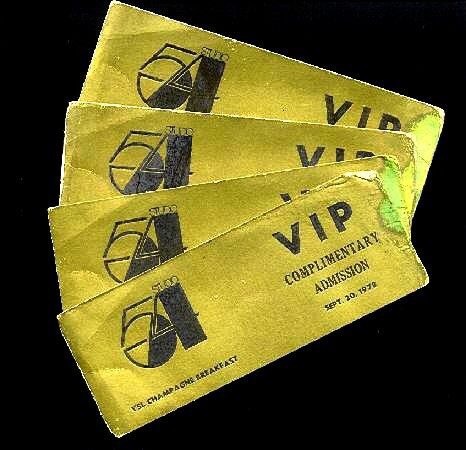 Studio 54 became the template for a certain kind of club, someway from what we’d now regard as the underground. It’s frequently cited as an influence in almost every sleek new entry onto the market, without any of the real glamour and excess achieved by Rubell and Schrager, never mind the heroic levels of drug-taking. When they were released from prison, Schrager opened the Palladium nightclub and went on to build a portfolio of influential boutique hotels. Steve Rubell died of an AIDS-related illness in 1989. In January of this year, Schrager received a full and unconditional pardon from President Obama. He is now entitled to vote. Ikutaro Kakehashi, the founder of Roland Corporation, created more than a successful business with a host of important innovations in electronic musical instruments; he has also paid tribute throughout his career to those who first inspired him. Mr. Kakehashi was born in Japan and formed Ace Electronics in 1964 with the goal of improving the electronic organ, following up on the work of his heroes, Mr. Hammond and Mr. Leslie. With the expansion of electronics in the late 1960s, he formed the Roland Corporation, which soon became one of the leaders in the industry. Perhaps the only thing more impressive than Mr. Kakehashi’s success is his own personal energetic passion for music and many, many friends along the way! We might not realize it, but the Roland company we know now is entirely different than the one it was shaping up to be in its early days. When Ikutaro Kakehashi, founder of Roland, started his first venture into musical instruments, it was indebted to his love for time. In 1932, at the age of two, Ikutaro lost both of his parents to tuberculosis. As a young boy he had to make a living fixing Kairyu submarines in Hitachi-run Japanese military shipyards. Once the war was over he was refused entry to Osaka’s university on account of his poor health. Searching for a solution to this predicament and a steady job (having been forced to forgo his education) he traveled to Kyushu, the southernmost province of Japan. There, he discovered something brilliant: Post-War Japan had virtually no timepiece industry. Mirroring the beginnings of a young Torakusu Yamaha, he took a job as a watch repairer. Kakehashi was 16 or 17 years old when he set about to learn in mere months what took years for many to learn through apprenticeships. In mere months, he set up the Kakehashi Watch Shop as a base to start his own ventures. With money raised from repairing watches, Ikutaro turned his eye towards music and the radio industry. Just years ago, even owning or listening to foreign radio transmissions was deemed illegal. Now, here, in Kyushu, Kakehashi was making or repairing devices that were an expression of freedom in Post-World War II Japan. When he finally earned enough money from his shop, Kakehashi turned back to Osaka and decided to use these funds to pay his way back into Osaka University. Unfortunately, once again tragedy struck. 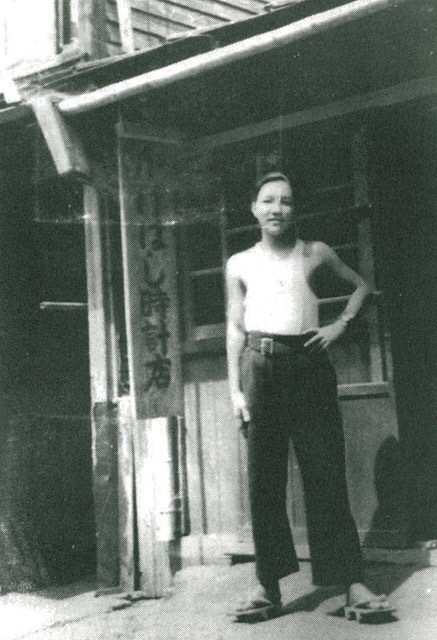 At the age of 20, rather than spend his money on education, Kakehashi had to pay for tuberculosis treatments. For three long years, he was consigned to a hospital ward, only repairing electronics for the hospital staff or other patients in order to support himself. Right before he received Streptomycin, the experimental drug that saved him from his terminal illness, so driven was Kakehashi to view Japan’s first TV signals that he used most of those savings to purchase a vacuum tube to create a television to receive them. In 1954, when Kakehashi finally had the strength to leave, he opened an electric repair shop post haste. In the span of six years, as radio and TV technology grew, he solidified the new business’ name as the Ace Electrical Company and earned enough money to try something different. As the Ace Electrical Company became Ace Electronic Industries, so did a shift toward a new kind of product. For years, Kakehashi tried to branch out into the music market, following an intriguing product that piqued his interest: the theremin. Influenced by Dr. Bob Moog, Kakehashi tried to build his own theremin. His first creation didn’t sound quite right, but undeterred, Kakehashi moved on to creating a keyboard instrument. Hearing and seeing the Ondes Martenot in action, he used bits from reed organs, telephones and other transistor sound generators to create his own version. This too was another misstep and the instrument never went to production. By 1959, rather than redesign the wheel, he designed and released an organ: the Technics SX601. It was the success of this organ that allowed Ace Electronic Industries to add guitar amps and pedals to its product line. However, by 1963, something new had stirred Kakehashi’s interest: the Wurlitzer Sideman. Released in 1959, the Sideman was revolutionary in few ways people envisioned. Using tape loops, this self-contained device allowed users to play 12 predetermined drum patterns at varying tempos. A whirling disc would cycle through different electronically generated drum sounds. Using this device, any musician could have drum accompaniment without an actual, physical drummer. However, what interested Kakehashi wasn’t this per se, but the idea of an electronic percussion instrument. In 1964, when he introduced the Rhythm Ace R-1 at NAMM he introduced his version of a drum machine. Ikutaro Kakehashi (梯 郁太郎 Kakehashi Ikutarō?, 7 February 1930 – 1 April 2017) was a Japanese engineer, inventor, entrepreneur, and founder of Japanese companies Ace Tone, Roland and ATV. He was a pioneer in electronic musical instruments, involved in developing Ace Tone and Roland drum machines such as the TR-808, TR-909, FR-1, TR-77 and CR-78; the TB-303 bass synthesizer; the MC-8 digital sequencer; Roland synthesizers such as the SH-1000, Jupiter, SH-101, JX-8P, Juno-60, D-50 and JP-8000; the System 700 modular synthesizer; and the MIDI standard, for which he received a Technical Grammy Award. His electronic musical instruments were influential, revolutionizing contemporary popular music and shaping numerous music genres, including electronic, dance, hip hop, R&B and pop music. Prior to Roland, he started Ace Tone, an electronic organ company that became known for producing early drum machines in the 1960s. It evolved into Hammond Organ Japan, which he eventually left to start Roland in the early 1970s. At Roland, he produced a number of electronic instruments that became widely adopted by the music industry. Kakehashi died in April 2017, at the age of 87. He was born on February 7 1930 in Osaka, Japan. Both of his parents died to tuberculosis during his early childhood, leaving him to be raised by his grandparents. Much of his childhood was spent studying electrical engineering and working in the Hitachi shipyards of Osaka. During World War II, his home was destroyed by American bombings. Following the war, he failed to get into university on health grounds in 1946, and then moved to the southern island of Kyushu. In 1947, at 16 years of age, he founded the Kakehashi Clock Store, a wristwatch repair shop on Kyushu Island. He soon began repairing radios as well. He later returned to Osaka to attend university. During a mass food shortage, he contracted tuberculosis and spent several years in a sanitarium, where he became a clinical trial test patient for an experimental medicine antibiotic drug, Streptomycin, which improved his condition In 1954, Ikutaro Kakehashi started Kakehashi Radio electrical appliance store, while concurrently repairing electronic organs and created new prototype organs throughout the 1950s. At 28, he decided to devote himself to music and pursuit of the ideal electronic musical instrument. Ikutaro Kakehashi never received any formal musical training. He wanted musical instruments to be accessible for professionals as well as amateurs like himself. He also wanted them to be inexpensive, intuitive, small, and simple. He constructed his first 49-key monophonic organ in 1959, specifically designed to be playable by anyone, with no musical skill necessary. The focus on miniaturization, affordability and simplicity would later become fundamental to product development at Roland. Ace Tone commercialized his preset rhythm machine, called the FR-1 Rhythm Ace, in 1967. It offered 16 preset patterns, and four buttons to manually play each instrument sound (cymbal, claves, cowbell and bass drum). The rhythm patterns could also be cascaded together by pushing multiple rhythm buttons simultaneously, and the possible combination of rhythm patterns were more than a hundred (on the later models of Rhythm Ace, the individual volumes of each instrument could be adjusted with the small knobs or faders). In 1968 a joint venture was established with Hammond USA, the FR-1 was adopted by the Hammond Organ Company for incorporation within their latest organ models. In the US, the units were also marketed under the Multivox brand by Peter Sorkin Music Company, and in the UK, marketed under the Bentley Rhythm Ace brand. The unique artificial sounds characteristics of the FR-1 were similar to the later Roland rhythm machines, and featured on electropop music from the late 1970s onwards. Ace Tone popularized the use of drum machines, with the FR-1 Rhythm Ace finding its way into popular music starting in the late 1960s. Kakehashi also developed the Hammond Piper Autochord, which was a success in 1971. It produced harmonic bass chords from single notes played on the organ keyboard, and was instrumental in the production and domestication of electric organs. In 1972, he founded Roland Corporation and became president. 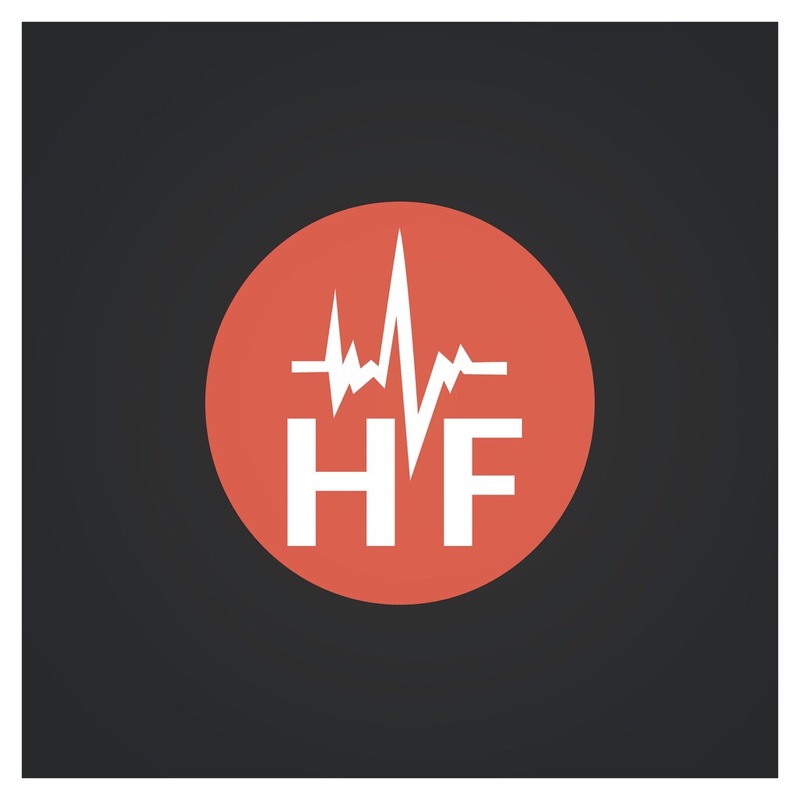 The company would go on to have a big impact on popular music, and do more to shape electronic music than any other company. At Roland, he continued his work on the development of drum machines. Roland’s first drum machine was the Roland TR-77, released in 1972. The Roland CR-78 in 1978 was the first microprocessor-driven programmable drum machine. These 1970s Roland drum machines were used in disco, R&B, rock and pop songs from the early 1970s to the early 1980s. The most influential drum machine was the TR-808, released in 1980, which was widely adopted in hip hop, electronic and pop music, and is still widely used through to the present day, having been used on more hit records than any other drum machine. 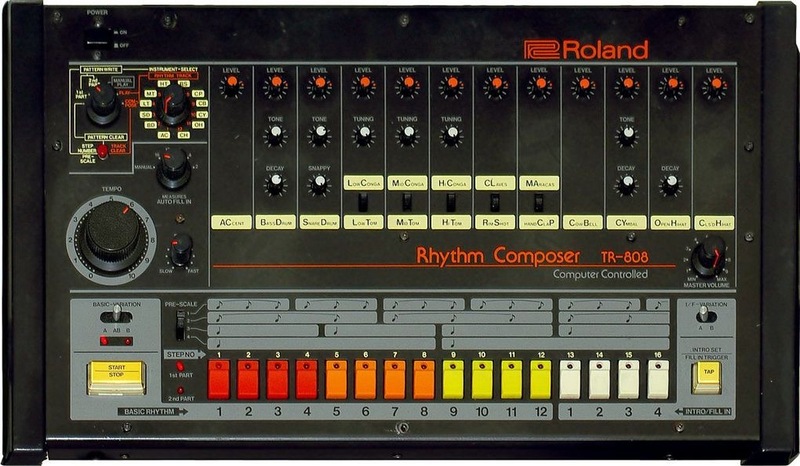 The 808 is one of the most influential inventions in popular music. It was then followed by the TR-909, released in 1984, which is widely used in electronic dance music, such as techno and house music. He also worked on other influential electronic musical instruments. He developed the the Roland System 700 modular synthesizer, released in 1976. The Roland MC-8 Microcomposer in 1977 was the first stand-alone microprocessor-driven CV/Gate music sequencer, and had a significant impact on popular electronic music, with the MC-8 and its descendants impacting popular electronic music production in the 1970s and 1980s more than any other family of sequencers. Roland synthesizers such as the SH-1000, Jupiter, SH-101, JX-8P, Juno-60 and D-50 were widely adopted in popular 1980s music. The Roland TB-303 bass synthesizer was instrumental to acid house music and the rave scene. The Roland JP-8000 was widely adopted in 1990s trance music. In June 1981, Kakehashi proposed the idea of standardization to Oberheim Electronics founder Tom Oberheim, who then talked it over with Sequential Circuits president Dave Smith. In October 1981, Kakehashi, Oberheim and Smith discussed the idea with representatives from Yamaha, Korg and Kawai. In 1983, the MIDI standard was unveiled by Kakehashi and Smith, who both later received Technical Grammy Awards in 2013 for their key roles in the development of MIDI. 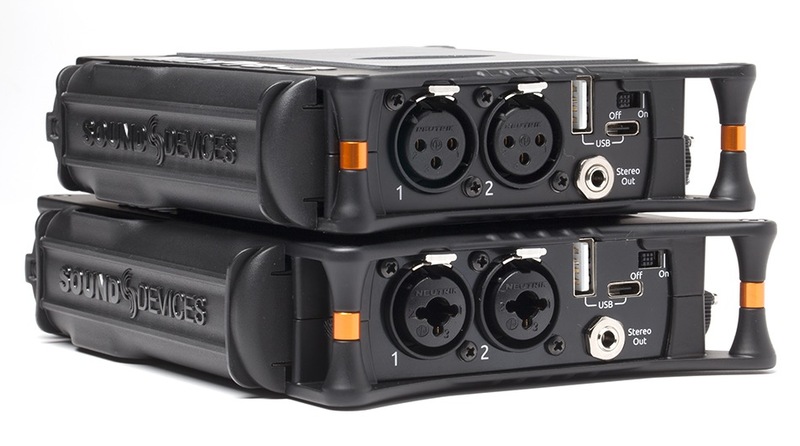 Since its introduction, MIDI has remained the musical instrument industry standard interface through to the present day. In 1994, Kakehashi founded the Roland Foundation and became Chairman, in 1995 he was appointed chairman of Roland Corporation. In 2001 he resigned from the chairman’s position and was appointed as Special Executive Adviser of Roland Corporation. Kakehashi retired from Roland in 2013. In 2014, Kakehashi founded the ATV Corporation. Together with Paulo Caius, former CEO of Roland Iberia, Founder and CEO of Roland Systems Group EMEA, Makoto Muroi, a prestigious research engineer for music and audiovisuals, also former President of the Roland Systems Group Japan, Mark Tsuruta, former CEO of Roland Audio Development USA and Glenn Dodson, previous CEO of Roland Australia. In 1991, based upon his contribution to the development and popularization of electronic instruments, Kakehashi was awarded an honorary doctorate from Berklee College of Music, U.S.A. The Bentley-branded Rhythm Ace inspired the 1997 Birmingham band Bentley Rhythm Ace when a model was found at a car boot sale. In 2000 he left his handprints at Hollywood’s RockWalk in Hollywood. In 2002 Kakehashi published his autobiography, titled I Believe In Music, and was also featured as a biography in the book The Art of Digital Music. In 2005 Kakehashi was awarded the title of professor emeritus of the Central Music College of China and the University of Glamorgan. Time was, tuning out the louds sounds of life meant stuffing some rubber plugs in your canals. Effective as the trusty bungs were, though, pulling them out for a quick chinwag was a right hassle. Thankfully, Knops has served up an adjustable solution on Kickstarter: stick its circular sound-stoppers in your ears and you’ll be able to control just how much sound gets in by twiddling the dials – whether that’s blocking out the bus drunk’s dystopian ramblings or letting in a little more bass at the office party. It’ll still sound crisp and clear, mind, as there’s no digital trickery going on: the plugs’ physical construction does all the magic, distortion-free.